We can today the full list of exceptional industry figures who are now confirmed as speakers for the Marketing Suite sessions at Prolific North Live, sponsored by Smoking Gun PR and The Chartered Institute of Marketing. The Marketing Suite, part of the two-day expo being held at EventCity in Trafford Park on February 15th and 16th 2017, will feature talks and workshops aimed at helping marketing professionals in their day to day activities. Helena is an award-winning chartered marketer with over 10 years’ global marketing experience. Her current role sees her responsible for creating marketing strategies, segmenting the customer base, identifying product positioning, developing messaging, and creating multi-channel global campaigns for Johnson Matthey’s extensive portfolio of products and services. She is also responsible for new product introduction and works closely with R&D and commercial teams to ensure a smooth product launch into target markets. She was named one of the top 40 rising stars in marketing in the UK by Marketing Week magazine, and her campaigns have received several marketing and advertising awards competing with big blue chip names such as Seimens, Chevron, and Castrol. 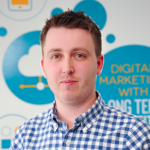 With over 20 years' experience in the digital sector, 12 years of which have been specifically within search marketing, Jon’s track record spans a wide variety of industry sectors on an international scale. Retail & e-tail, property, financial services, journalism, business to business, third sector, travel and the motor trade feature highly in his expertise. Examples of companies Jon’s enjoyed working with include Go Compare, Oxfam, Daily Mail, HCA Healthcare UK, Lloyds Pharmacy, Lookers, Kwikfit Insurance, Holiday Inn, ABTA and the FSB. Chris is a chartered management accountant who is the current head of the Liverpool in London hub. He promotes opportunities for business and investors in Liverpool and the Liverpool City Region. One of Chris's roles is to try to change the negative perceptions that many people have about Liverpool, which has recently undergone a £8bn transformation including a new retail area, new museum and a cruise liner terminal. To date, Liverpool in London has managed to secure £23m of new investment and £4m in new sales for Liverpool and Liverpool based companies. Chris is also the Head of International for the largest business festival of its type in the world, IFB2016. His role is to attract 11,000 foreign companies to the UK to meet with over 24,000 UK companies to meet and do deals. Victoria is a multi-award winning chartered marketer and has worked internationally for all of her career within the start up and SME environment, marketing and selling health related products around the world. Multilingual and with an executive MBA, Victoria now runs her own business Bolst Global, supporting UK SME’s largely within the food and drink and supplement sectors to export via support with international sales and marketing services. 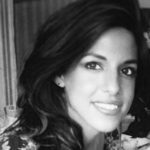 Her goal is to help as many British companies to sell internationally as possible and provide them with the tools and techniques to make the UK a strong exporting nation. Victoria also sits on the regional board for the Chartered Institute of Marketing and leads on international marketing within Yorkshire. Shama is the Head of Local Marketing for Tesco, responsible for engaging local communities across the country. 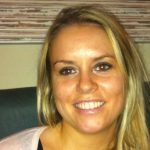 Over the last decade, she has developed a breadth of experience across Tesco from product sourcing, proposition development and customer communications in the UK. During this time Shama has also managed Local Marketing for Tesco in Malaysia and understands the importance of developing insight led locally relevant customer communications. Ben is an entrepreneur, author, and speaker who has started numerous companies, with a clear focus on digital and data. After graduating from Queen Mary, University of London, Ben joined the police as an Intelligence Analyst working on organised crime gangs and major cases. 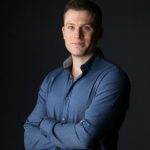 After this grounding in data and analysis, he worked in a variety of analytical, marketing and management roles in publishing companies, startups, and agencies before founding Datify, a data-driven digital marketing agency. 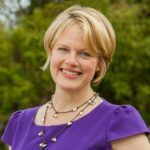 Caroline is a presentations coach and a former head of a PR agency who hated having to speak in public. Today, she helps people to give confident talks that engage people and win new business. 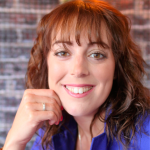 She runs training workshops and offers 1-to-1 coaching in the North West. Her clients include many brilliant presenters who were once nervous and rambling – until they learnt that effective pitching, like driving lessons, is a skill you learn so you can get somewhere. 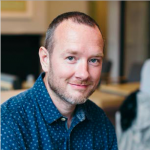 Tim is a bestselling digital marketing author and Head Ninja at Exposure Ninja, a British digital marketing agency specialising in building and ranking websites, and host of the Exposure Ninja Digital Marketing Podcast. His goal is to help business owners to capitalise on the untapped potential of their websites and grow their businesses using free and paid traffic. 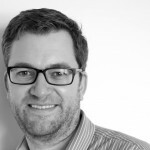 With over 15 years' PR and communications agency experience, Rick has helped to build and protect the reputations of some of the best known consumer brands around, including Red Bull, Jaguar, Persil and The North Face. A media geek from a young age, his career has seen him land front page client coverage in titles as diverse as the Guardian and Daily Star, deliver stunts that have become internationally famous and start Twitter trends from the iPhone invariably glued to his hand. He co-founded Smoking Gun in 2010 to build an intelligently creative agency that makes a measurable difference to its clients and staff and with seven straight years of double digit growth and 30 leading industry awards on the shelf, things are going to plan. 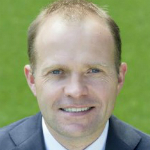 Richard was appointed director of marketing and communications at Everton Football Club in 2014. He arrived from Kenyon Fraser which, initially as managing director and then as chief executive, he built into a leading marketing and communications agency in the North West region and one of the fastest-growing in the UK. A lifelong Evertonian, his current role at the Club involves him overseeing marketing, insight, corporate communications, PR and media functions. Fan engagement, delivering best-in-class service for partners and ensuring the continued positive development of the Club’s reputation are key objectives, and recent recognition of this work has come in the form of a number of prestigious awards. 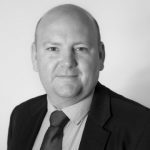 An experienced former Whitehall strategist/policy maker and legislative project manager, Steve joined The Chartered Institute of Marketing in 2014. 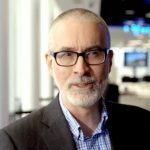 His role is centred around advocating CIM’s unique role in developing the marketing profession to benefit the economy and society, emphasising the role of marketing in business growth. Lyndon is a marketing professional with a career spanning three decades. He has founded, built and successfully exited two marketing agency businesses and is now CEO of a third, Buffalo 7, currently experiencing incredibly rapid growth. Along the way he has advised and worked with some of the world’s leading brands and helped developed sales and marketing strategies that have created tens of millions in revenue for clients. 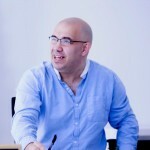 His skills and knowledge covers strategy development, implementation and management across the whole marketing spectrum. His particular interest, and area of expertise is looking at how businesses present their message to prospective clients in the all-important first meeting – where business relationships can be made or broken in the first 15 minutes. Speakers from Spotify and Google have already been confirmed for the keynotes in the Digital Marketing sessions, with speakers from Paddy Power, uSwitch.com and Virgin Trains confirmed for the Content/Digital sessions.